In this new series we will be talking about old studio gear that made an impact in our audio production journeys. To start this series off I am going to be talking about the mighty Digi 003 Factory - released in 2007. The Digi 003 was the replacement to the outgoing Digi 002. I owned both these control surfaces and absolutely adored them. I still keep my 003 as a backup Pro Tools control surface/interface. At the time there wasn't any other all-in-one solution studio solution like the Digi 003 Factory. All of these features in a small design for less than £2,000. The Digi 003 was the perfect middle ground studio solution that meant we had the ability to record full band lineups with 16 inputs (using ADAT) directly into Pro Tools. The 003 wasn't budget but it wasn't completely unaffordable either. Why Was The Digi 003 Important? The Digi 003 was the affordable option in the Pro Tools product range. Aspiring Pro Tools users, like myself, who were on a budget got a 003. HD I/O systems with either a Control 24 or C|24 cost significantly more. I still feel it was a shame that a Digi 00s were not developed after the 003 range. I feel that no product since has followed in the Digi 003's feature rich footsteps. What Products Followed The Digi 003? 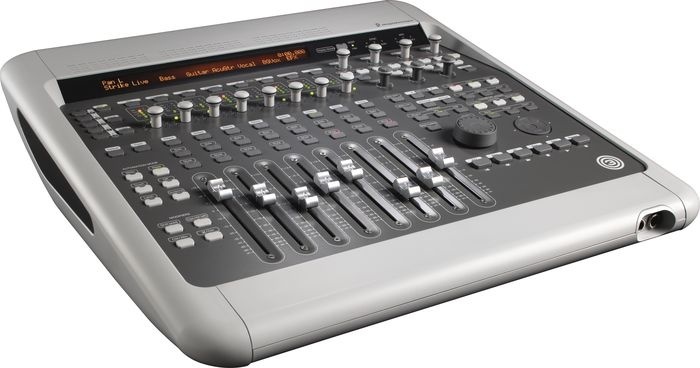 The only products close to following the Digi 003 were the Avid Artist Control & Mix surfaces. These only offered control surface capabilities that turned out to be rubbish. Not long before the Digi 003 M-Audio released The Project Mix. This was similar to the Digi 003 but had terrible sounding pre amps that couldn't handle even a moderately dynamic vocal take. If you are in the market today for a product like the Digi 003 then the closest products you'll find are made by Icon Pro Audio. Icon currently have two control surfaces that work with multiple DAWs featuring 8 faders (no built in audio I/O). I briefly had a play with both the Icon QCon products earlier this year at NAMM 2016 and I remember feeling a 003 vibe in them - which is a big thumbs up from me.